Does budget actually have rate change in it? I'm just wondering if this is factual. He's saying the new budget that just got passed has the new rate change in it (1.17=1). If this is so how would we figure out when it will actually be put in to place? 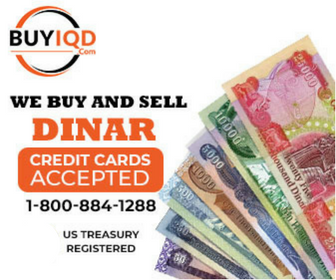 I read that as well, but it says 1.17 dinar to the dollar, I thought it was probally 1.17 dollar to the dinar? A typo??? Here's a link to the entire text of the 2012 budget...you will have to translate it back into English to research this if you would like. I've never thought the budget had anything to do with the RV, it is simply the amount of money needed to run the country... they would simply adjust any allocations to suit whatever rate they decide to change the Iraqi Dinar to once it is internationally traded. Whether the budget is in IQD 1170, or in USD, the amount remains the same. Even if they did RV at 1 to 1, all that would change is the Dinar amount, not the actual monetary value of the budget total. MED had said the exact same thing about last years budget; that it contained the rate. Just saying. Don’t get me wrong I do like MED, but wouldn’t the CBI determine the rate, and not leave it up to the government to vote on the new rate? If you would note out of all their meetings RV is rarely mentioned it's as though they aren't putting this on their agenda as a main topic. Question, has there ever been a meeting just on the rate and RV? I'd like to read that article old or new. Peace! In the Middle East. The Saudis slap every nation on earth in the face, spit in their eye, then ask for their help, then don't get it & then they wonder's why. The Saudis will need every Arab nation in the region, especially Iraq to pull all their resources together from the growing Iran-Syrian threat. Either that or pay the USA to do their fighting for them like they always do. This time it will be different. It will cost them cash or oil up front. The Saudis also like to make deals & promises they can't or won't honor.